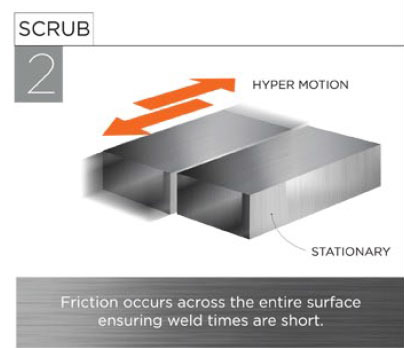 How Does Friction Welding Technology Work? Well there, glad you asked! Do you remember how we explained rotary friction welding? The two methods are quite similar to each other. 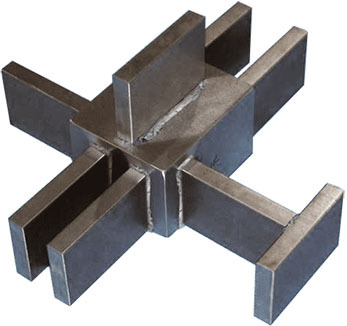 Friction welding, in general, is based on moving one part against the stationary surface of another under pressure. That action generates heat. 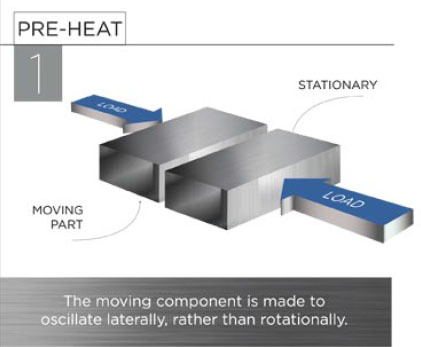 Once the material is heated to a plastic state, motion stops, and forge pressure is applied to the two pieces until they fuse together in a solid state joint. Linear Friction Welding uses an oscillating motion to move one part back and forth in a line against the other. In a line, get it? Linear motion! Are you wondering what difference that makes and which method is better? Powerful, scientific minds have worked to explore this for decades. Now the rest of us can reap the benefits. 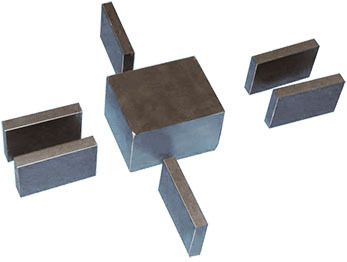 Part Orientation is always controlled with linear friction welding. At the end of the weld cycle, the combined assembly is returned the exact neutral, zero pressure position at which the sub-components started. 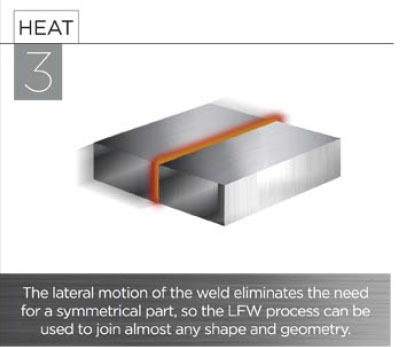 This means that if features must be located in relation to one another, the features can be machined on the sub-components before weld instead of adding them to the larger assembly after welding. 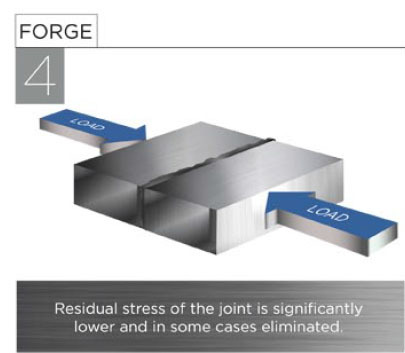 Linear motion produces an even, simultaneous resistance across the full surface of the weld interface. This creates a uniform heat across the material so that the entire surface instantly reaches the same temperature. On the other hand, rotary produces an uneven heat, because the rotating surface perimeter has higher friction speed than at the center. This can be addressed by preparing the weld surface with milling operations beforehand. The result is very good, but there are extra operations on another machine. The heat is also built more gradually in comparison to the instant heat generated with linear. Linear part length on the machines that we use is unlimited. It is just a matter of what fits your trucking, facility, and equipment. Unlimited length is achieved with a pass-through design. In fact, this machine type is excellent at welding train track rails in a continuous fashion at the track bed. Rotary part length is limited by the chuck holding capacity and dimension of the tailstock clamping area. The better method is... the one that fits your part best, and can bond the two pieces with the greatest efficiency. Sometimes there is an industry tradition that dictates the method until... technology leaders like you build consensus at your company to approve test-based product improvement changes. The whole sequence takes just a few seconds even if you are working with the maximum weld interface surface area. Ready to explore Linear Friction Welding Technology for your project?